Made from cast resin. Very decorative and rare! 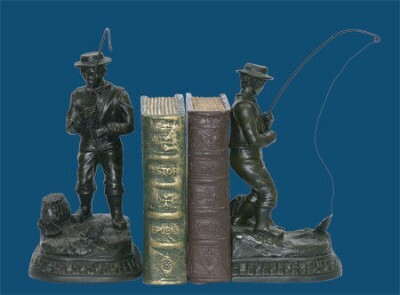 3.75" x 3.75" x 9.25"
The Pair Of Fish On Line Bookends are hand painted and come in a set of 2.